The game Rugby Union or simply Rugby is recognized as one of the main sports on planet earth because of its amazing popularity and huge active participation. The main three events that have changed the rugby history are the establishment of the first set of written rules in 1845, the decision of the Blackheath Club to untie its relation with Football Association in 1863, and most importantly, the establishment of the Rugby Football Union in 1871. Besides the traditional form of national and international rugby, various forms of this game are played throughout the world with different names such as MarnGrook in Australia, Ki-o-Rahi in New Zealand, Kemari in Japan, Jeddart Ba in Scotland, CalcioFiorentino in Italy, Caid in Ireland and Campball in East Anglia. From the starting of active championship, rugby union produced many incredible talents who still have their own place in the hearts of the rugby fans. So here is the list of top 10 greatest rugby players of all time. Former Welsh rugby union player Gareth Edwards is “arguably the greatest player ever to don a Welsh jersey” according to the BBC. 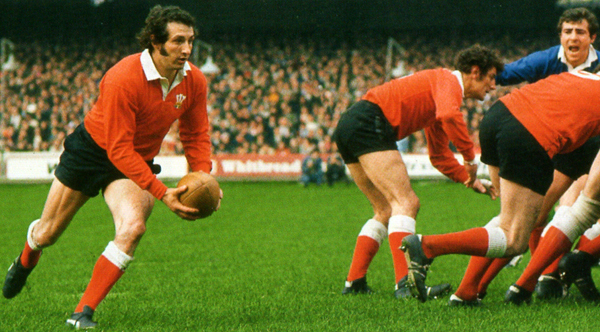 He played 53 matches for Wales’s national team and scored 88 points from 1967 to 1978 and also played 10 matches for the British Lions and scored 3 points. He played 12 seasons of his career for Cardiff RFC in his club career and scored 69 tries in 195 games. He was voted the greatest player of all time in a poll of Rugby World magazine in 2003. Gareth also named the greatest ever in the list of “50 Greatest Rugby players,” compiled by former England captain Will Carling in The Telegraph in 2007. He received the Commander of the Most Excellent Order of the British Empire in the 2007 New Year Honors for his contribution to the international rugby. 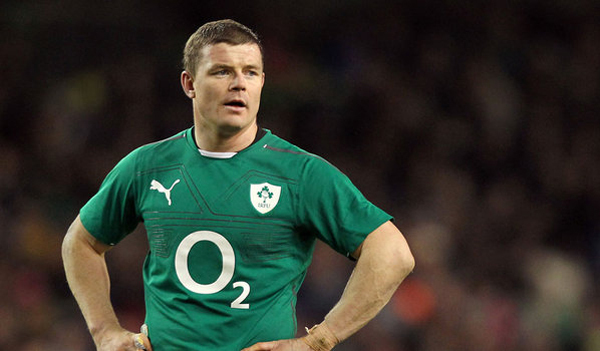 Former Irish professional rugby union player Brian O’Driscoll aka BOD is widely regarded as the best outside center in rugby history. His popularity and fan support were so vast that his admirer attended his matches wearing T-shirts bearing the motto “In BOD We Trust.” He captained Ireland’s national rugby team from 2003 to 2012 and also captained the British and Irish Lion during New Zealand tour in 2005. Besides international appearances, Brian also played for Irish provincial team Leinster. He played 141 test matches for Ireland, which includes 83 matches as the captain and played 8 for the British and Irish Lions, which, in total, made him the most-capped player in rugby union history. He was the highest try scorer of all time in Irish Rugby, and the 8th highest try scorer in international rugby history. New Zealand rugby union player Dan Carter is the highest points scorer in Test match rugby and widely regarded as the greatest ever first-five eighth. He earned 100 caps for New Zealand’s national team the All Blacks and scored 1,442 points. He played for Crusaders in Super Rugby where he earned 128 caps and 1,581 points. He also played for Canterbury provincial team and scored 289 for them. Carter won six Tri-Nations and Rugby Championships with the New Zealand national team and four Super Rugby titles with the Crusaders. He also led his national team to victory of the 2011 Rugby World Cup. He was named player of the year by the International Rugby Board in 2005 and 2012. He was also named Super Rugby player of the year by Rebel Sport in 2004 and 2006. New Zealand former rugby union player Michael Jones also served as the coach of Samoa rugby team from 2004 to 2007 after his retirement from the professional rugby. He was one of the most offensive players during his career and nicknamed The Iceman for his need of icepacks for injuries during gameplay. 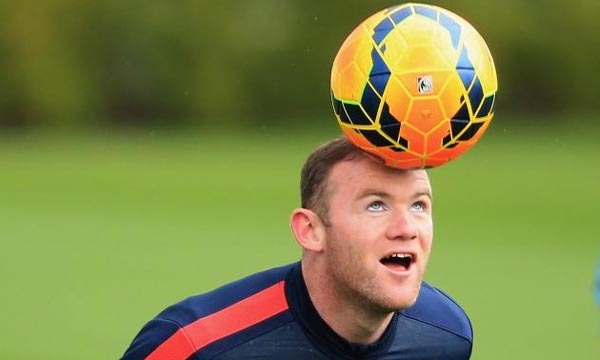 He is “almost the perfect rugby player” according to his first coach John Hart. He played for New Zealand All Black as the most successful Flanker and earned 55 caps with 56 points. He was voted as the third best All Black of the 20th century by Rugby World magazine. He was inducted in the International Rugby Hall of Fame in 2003. Besides his sports career, he was also honored with New Zealand Medal for service to the Pacific Island community in 1990. 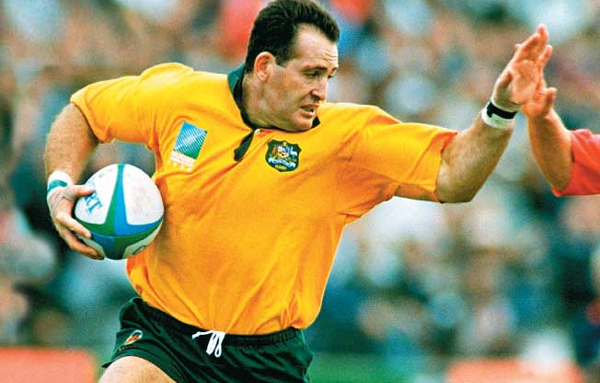 Former Australian rugby union player David Campese is widely considered as the greatest winger and fullback of rugby history. He is also widely popular for his hitch-kick motion called the “goose-step” which is superior for avoiding tackling of the opponents. He achieved 101 caps in the Australian national rugby team The Wallabies and scored 315 points. He also played for New South Wales in his club career and earned 56 caps and 114 points. After his incredible journey of nine tries in tests and six in rugby world tournament, he was voted as the player of the tournament at the 1991 Rugby World Cup. He was inducted in the Sport Australia Hall of Fame in 1997 and in the IRB Hall of Fame in 2013. He was also inducted in the Australian Rugby Union Hall of Fame in 2007. 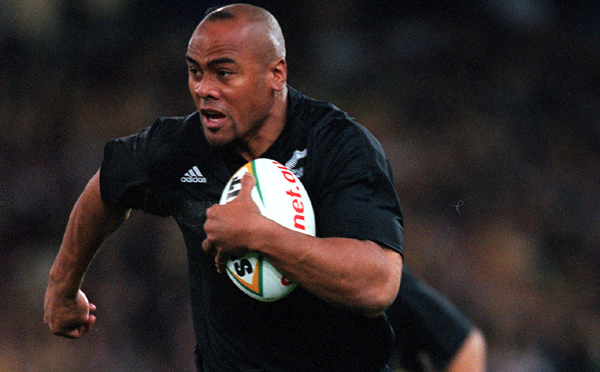 Former New Zealand rugby union player Jonah Lomu is widely regarded by the most as the first true global superstar of rugby union. He was also considered as ‘rugby union’s biggest drawcard’ during his career. 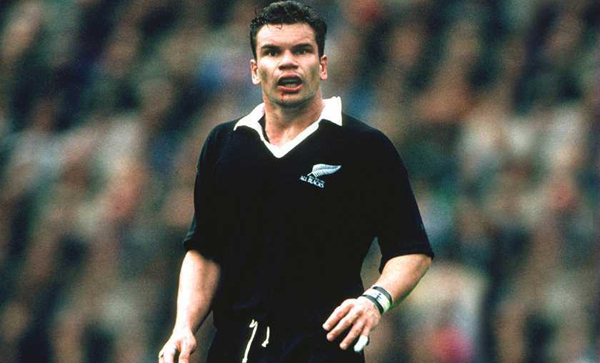 He earned 63 caps and scored 185 points for New Zealand All Black from 1994 to 2002. He played for three domestic teams in the Super Rugby which includes Auckland Blues, Chiefs and Hurricanes. He holds the record of the Rugby World Cup all-time top try scorer with his 15 tries. He was considered as one the best players of rugby in international championships starting from 1995 World Cup, but sadly, he never won a World Cup during his career. He was inducted in the International Rugby Hall of Fame in 2007 and the IRB Hall of Fame in 2011. Former New Zealand rugby union player Carlos Spencer is widely considered as one of the best fly-halfs in the history of rugby. He is currently serving as the head coach of South African rugby union team the Eastern Province Kings. He earned 35 caps and scored 291 points for New Zealand All Black from 1995 to 2004. He also played in the Super Rugby for Auckland Blues and scored 608 points in 96 caps and also for Lions and scored 17 points in 11 caps. He was included in the Guinness Premiership Awards Dream Team in 2006. 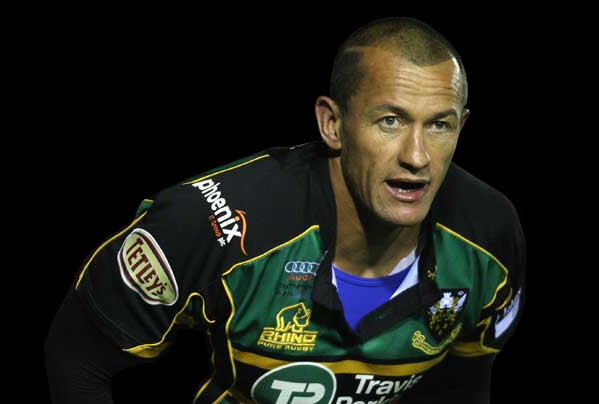 Carlos was voted the Player of the Year for 2005-06 season in a poll for club fans at the Northampton Saints annual awards in 2006. He was also included as a pioneer member and played four matches for Bob Dwyer’s World XV team in 2006. 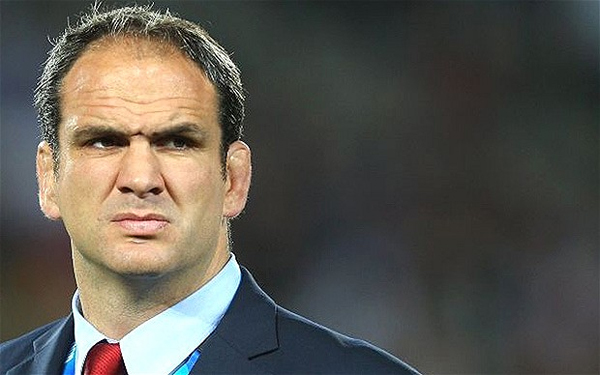 English former rugby union player Martin Johnson is regarded as one of the greatest locks in the history of rugby. He led his England national team to victory in the World Cup in 2003. He is also the only man to captain the British and Irish Lions on two separate tours. He led his club team Leicester Tigers to the victory of the league six times and also won the Heineken Cup consecutively. He earned 84 caps in England national rugby team in which he scored 10 points and also earned 362 caps in Leicester Tigers where he scored 90 points. After his retirement, he became the team manager for the 2011 Six Nations of the national England rugby team in April 2008. Besides the rugby career, he worked for BBC Sport at Super Bowl XLVII and for ITV at Super Bowl XLI. Former French rugby union player Serge Blanco is widely regarded as one of the most skillful fullback in the history of the rugby. 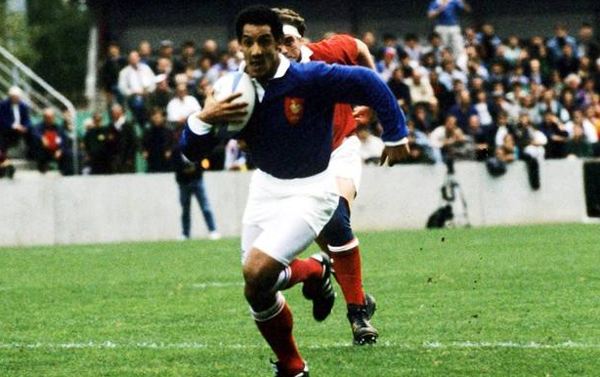 He earned 93 caps in France national rugby team in which he scored 233 points. He is mostly known for his deciding try for the 28-24 score against Australia in the semi-final of the inaugural 1987 Rugby World Cup. 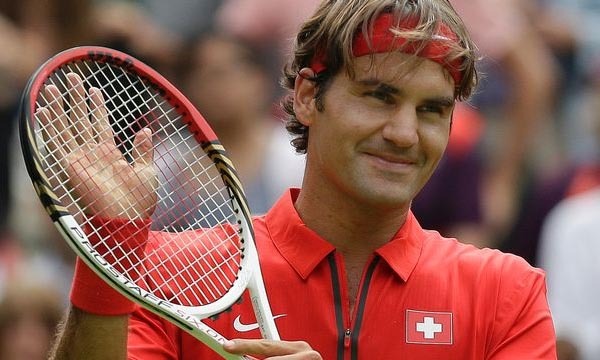 He won the Grand Slams while leading his French national team to victory of Five Nations Championship in 1981 and again won the Grand Slams with France in the 1987. After his retirement, he served as the president of Biarritz Olympique and LigueNationale de Rugby. He was inducted as an inaugural member in the International Rugby Hall of Fame in 1997. Blanco was introduced to IRB Hall of Fame in 2011. 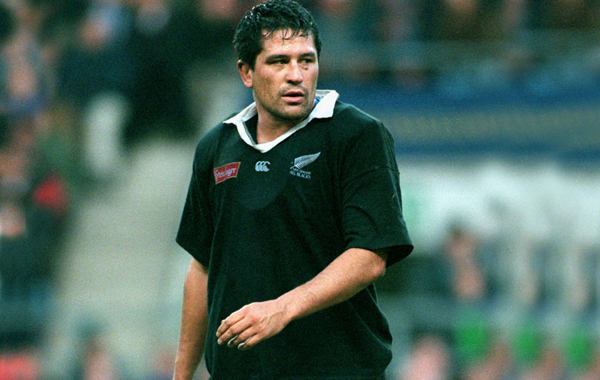 Former New Zealand rugby union player Zinzan Brooke is widely considered as one of the best Number 8 or flankers in the history of rugby union. He led his team Auckland Blues to victory as a captain in the Super 12 championships in 1996 and 1997. He earned 58 caps in All Black New Zealand national rugby team, in which he scored 89 points, and also played 42 non-international matches for the All Blacks. He held the world record for a forward at the time of his retirement for scoring 17 tries in Test matches. 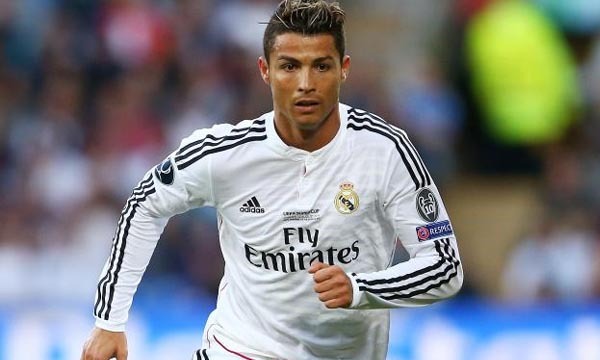 He was ranked eighth greatest player of all time in the list of “50 Greatest Rugby players” compiled by former England Will Carling for The Telegraph in 2007. He was inducted in the TVNZ This Is Your Life wall of fame in 2011. Rugby is all about variety, unlike any other sport in this universe, not a single squad has successfully defended its Rugby World Cup championship two years in a row, and therefore, not a single team is present till date who won the world championship twice consecutively. And an interesting fact for the fans is that, the most successful rugby team in the world, All Black, always performs the tribal Maori war dance before every match they participate in.